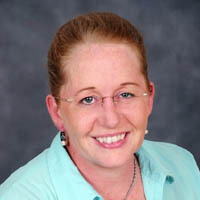 Dawn Skelton is an exercise physiologist with a scientific research background. She is currently a Professor in Ageing and Health at Glasgow Caledonian University. 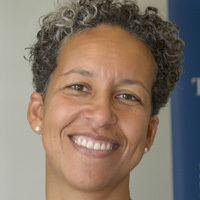 She co-hosted the 8th World Congress on Active Ageing in Glasgow in August 2012 and is a commissioned author for the WHO’s Health Evidence Network and the UK’s Department of Health. She sat on the Expert Panel for the Chief Medical Officers Start Active Stay Active recommendations for physical activity and public health in 2011 and is an advisor on a current review of rehabilitation after hip fracture with the CSP. She has been awarded a number of accolades for her impact on education and services in exercise and function, falls and frailty in older people. In 2004, she was co-awarded a Certificate of Recognition from AGILE for “Distinguished service in clinical / management / educational practice”. In 2015 she received an honorary MD from Umeå University, Sweden. In 2016 she received an Honorary Fellowship from the Chartered Society of Physiotherapy and a Fellowship of the Royal College of Physicians of Edinburgh. 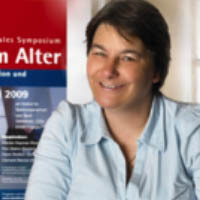 Her recent research (MRC, NIHR and Innovate UK) focuses on adherence to exercise in older people with a history of falls through ExerGames, group versus home exercise referred through the GP on habitual physical activity, effects of the Otago home exercise programme and the FaME group based programme in visually impaired older people, the use of the Functional Fitness MOT to educate older people about components of fitness and the physical activity guidelines, and reducing sedentary behaviour (long periods of sitting) in older people. Within the ProFouND (Prevention of Falls Network for Dissemination) European Network she led a highly successful Cascade Training model of effective exercise delivery to fallers across 10 European Countries. She works part time in academia and the rest of the time is a Director of Later Life Training Ltd, a company that runs as a not-for profit, to train health and fitness professionals to work with effective physical activity and exercise with older people and stroke survivors. Cardiological aspects of Falls- an under-recognised problem? Professor Rose Anne Kenny holds the chair of Medical Gerontology at Trinity College, Dublin. The major focus of her research is to provide new insights into cardiovascular ageing. Rose Anne is interested in causes and consequences of ageing processes governing neurocardiovascular stability in particular locomotion, falls, syncope, autonomic signals and mental health. Rose Anne founded and leads The Irish Longitudinal Study on Ageing (TILDA), which collates longitudinal information from biological samples, objective health measures and social and economic information, in a large Irish adult population sample. The role played by autonomic pathways on locomotion, the senses, vascular integrity and the brain coupled with inflammation is under investigation. Her research team has several other projects underway, including early risk determinants of cognitive decline, novel measures of autonomic function in ageing, risk factors for mobility impairment, new models for frailty diagnosis and implantable devices in falls prevention. In 2010, Rose Anne founded and is now Director of a new Ageing Research Centre at Trinity College, with 135 active Principal Investigators. 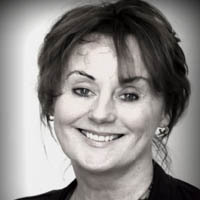 Rose Anne is also Director of the new Mercer’s Institute (the first purpose-built clinical research facility on the island of Ireland) at the country’s largest teaching hospital – St. James’s Hospital, Dublin. Rose Anne was previously Professor of Cardiovascular Research at Newcastle University, UK, and in 1992 established the first dedicated syncope service in the UK (in Newcastle)which has been replicated worldwide. She now heads up the syncope service at St. James’s Hospital, Dublin. This work has lead to new methods for assessment of falls and syncope risk which have been adopted internationally and the head-up tilt test, which she first described, is now the gold standard for vasovagal diagnosis. Rose Anne is a Fellow of Trinity College Dublin and of the Royal College of Physicians in London, Ireland and Edinburgh, and member of the Royal Irish Academy. 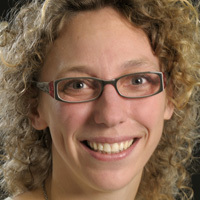 Nathalie van der Velde is currently the head of the Geriatrics Department at the Academic Medical Center in Amsterdam, the Netherlands. Furthermore, she chairs the Dutch Network of Fall clinics (NVKG) and the Dutch Falls prevention guideline (update), and is a member of the European Geriatric special interest group in Falls and Fracture prevention. Her overall research goal is minimizing the number and consequences of falls and fall-related injury in older persons. Momentarily, she focuses on the role of drug use and cardiovascular abnormalities. Her overall objectives are to optimize recognition and treatment of individual fall-risk factors by carrying out clinical and epidemiological research and disperse knowledge on falls research by actively participating in fall work groups and networks. Diagnosing Sarcopenia- Does it add anything? Avan Sayer is Director of the NIHR Newcastle Biomedical Research Centre in Ageing and Long-Term Conditions and Professor of Geriatric Medicine at Newcastle University. Her research takes a life course approach to understanding the geriatric syndromes of sarcopenia, frailty and multi-morbidity, and involves the translation of findings into new approaches to diagnosis, treatment and prevention. She is Secretary to the UK Association of Academic Geriatric Medicine and is on the Academic Board of the European Union Geriatric Medicine Society. She is an Associate Editor at Age and Ageing and has served on a number of UK and European advisory committees and expert panels. She has been Raine Visiting Professor at the University of Western Australia and is Visiting Professor at the MRC Life-course Epidemiology Unit, University of Southampton, where she was previously based. Reto W. Kressig is Professor and Chair of Geriatrics at the University of Basel, Switzerland. He is Chief Medical Officer and Member of the Directorial Board of the 260-bed University Center for Medicine of Aging at the Felix Platter-Hospital Basel. His scientific work and interests include older adults’ gait biomechanics, physical activity, functional autonomy, nutrition and cognition in relation to principles of geriatric rehabilitation and fall prevention. Prof. Kressig is Editorial-Member of several international geriatric journals, Associate Professor of Gerontology at the University of Luxemburg and former Secretary of the European Academy for Medicine of Aging. He is author of over hundred original publications in the fields of dementia, mobility and nutrition. He is co-initiator and one of the principal investigators of the DO-HEALTH study, the currently biggest EU-Project on healthy aging (n=2152) based on supplementation of vitamin D and omega-3 fatty acids, combined with regular exercise. The Frailty Concept- Is it Useful? 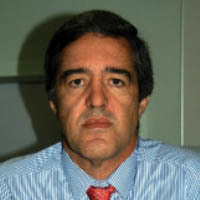 Professor Alfonso J. Cruz-Jentoft is a physician, specialist in Geriatric Medicine. He currently chairs the Geriatric Department of the Hospital Universitario Ramón y Cajal in Madrid, Spain. He is professor of Geriatrics at the Universidad Europea de Madrid and president of the Spanish Board on Geriatric Medicine. He was President of the European Union Geriatric Medicine Society (EUGMS) and is now member of its Academic Board. Dr. Cruz-Jentoft coordinated the European Working Group on Sarcopenia in Older People/International Sarcopenia Initiative, and chairs the Sarcopenia SIG of both the EUGMS and SEGG. His present areas of research include sarcopenia, frailty and nutrition in older people, geriatric pharmacotherapy, discrimination of older subjects in clinical research, and comprehensive geriatric assessment. He is involved in several large European trials on these topics (SENATOR, SPRINT-T, MPI-AGE). Since 1999 working as a Research Assistant, and since 2008 working as senior lecturer at the Institute of Sport Science and Sport [ISS] (Universität Erlangen-Nürnberg/Germany). In combination with Dr. Abu.-Omar, head of the new Master program “Physical Activity and Health” ISS until 2013. Since 2013, Ellen has been working as an Associate Professor at the Institute of Biomedicine for Ageing (Chair: Cornel Sieber) also at the University Erlangen-Nürnberg and being responsible for European projects and research in physical activity and aging. 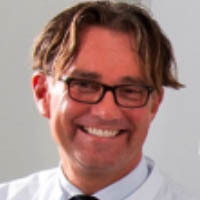 Bo Abrahamsen is an endocrinologist at Holbæk Hospital in Denmark, a Capture-The-Fracture Silver Starred FLS Service, and primarily treats patients with osteoporosis, metabolic bone diseases and parathyroid disorders. He is also a professor of clinical database studies at the University of Southern Denmark. He attended Medical School in Odense, Denmark, the B.Sc. Hons Course in Experimental Pathology at St. Andrews, UK, and part of his PhD lab work at UMASS Medical Center, Worcester, MA. Main research interests include absolute fracture risk, secondary osteoporosis, fracture epidemiology and safety of anti-osteoporotic drugs and supplements. 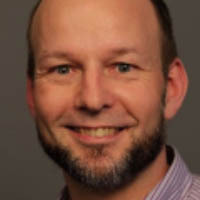 Dr Abrahamsen is a member of the Committee of Scientific Advisors to the IOF, a member of the Board of Directors of the American Society for Bone and Mineral Research, and an Associate Editor of the Journal of Bone and Mineral Research. 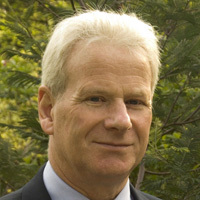 Finbarr Martin is emeritus consultant in Geriatric Medicine, having worked from 1984-2016 in a broad range of acute and community services at Guys and St Thomas’ NHS Foundation Trust in London. He has a personal chair at King’s College London. He has over 130 peer reviewed publications, mostly research is into the geriatric syndromes of falls, frailty and delirium, and health services evaluations of intervention related to these syndromes. He is currently supervising 3 PhD students investigating CGA and frailty topics. He is co-editor of the 3rd edition of the Oxford Textbook of Geriatric Medicine. He was president of the British Geriatrics Society 2010 to 2012, and is currently president-elect of the EUGMS. 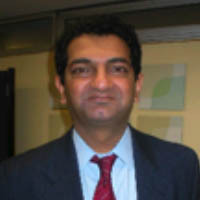 Professor Masud trained at Christ Church, University of Oxford and St Bartholomew’s Hospital, London. After postgraduate training in London and Newcastle-Upon-Tyne and a Research Fellow post in St Thomas’ Hospital, London he took up a position of Consultant Physician in General and Geriatric Medicine at Nottingham in 1994. He has a research and clinical interest in osteoporosis, falls, exercise, syncope and education and has over 100 peer-reviewed publications in these areas. He heads the Clinical Gerontology Research Unit at Nottingham University Hospitals NHS Trust. He has previously been a scientific advisor to the National Osteoporosis Society and is the main organiser of the annual International Conference on Falls and Postural Stability. He has also served as the Clinical SubDean at the University of Nottingham Medical School. He also has Honorary/Visiting Professorships at the Universities of Nottingham, Derby and Southern Denmark. He was President of the European Union of Medical Specialists-Geriatric Medicine Section (2014-2015) and is currently the President-Elect of the British Geriatrics Society.